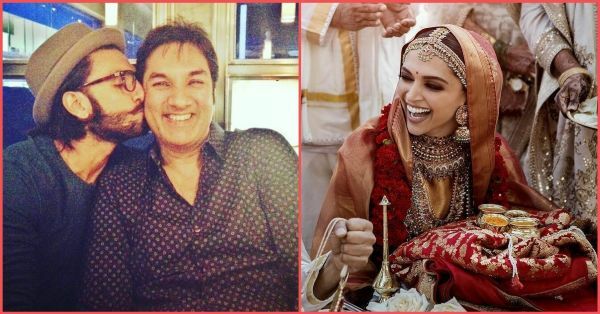 What Ranveer's Dad Said To Deepika During #DeepVeerKiShaadi Is The CUTEST Thing Ever! DeepVeer ki shaadi pictures just got released by the newlyweds after two days of wedding functions and ceremonies and let's just say, they are totally worth the wait. Of course, the pictures are all over the internet. And amidst all this, we found our highlight of the day. Yes, there is something even better than the hidden message on Deepika's bridal dupatta. Ranveer's stylist, Nitasha Gaurav, posted an Instagram story congratulating the couple, just like all the other Bollywood celebrities who wished DeepVeer, and shared with us what Ranveer's dad, Jagjit Singh Bhavnani, had to say to his new bahu. Spoiler alert: It will melt your heart. Mr Bhavnani Senior aka Ranveer's dad said, "Yeh Deewani toh Bhavnani ho gayi," and we don't think there could have been a sweeter welcome for Deepika into the family. The message is a beautiful wordplay on Deepika's character in Bajirao Mastani where Ranveer plays Bajirao and Deepika plays Mastani. The popular song's lyrics are, "Kehte hain, yeh deewani, Mastani ho gayi..." But Ranveer's dad gave a new, a better meaning to the song. We wish the newlyweds a happy married life. Thanks, DeepVeer for showing us the power of true love and filling our hearts with hope. Want more updates from Deepika Padukone and Ranveer Singh's wedding? Click here!